As one of the costliest hurricane seasons on record comes to an end, the Gulf Coast is reminded of the importance of assessing vulnerabilities and allocating risks before an event occurs. Along with Hurricane Harvey's widespread devastation and far-reaching disruptions came valuable lessons in hurricane preparation and force majeure protections. By including a review of force majeure clauses in their routine hurricane preparations, Gulf Coast businesses can ensure that when the next hurricane season arrives, they are adequately prepared to weather the storm. For many Gulf Coast residents, hurricane preparedness has become a finely-tuned ritual: board the windows, find the flashlights, fill the gas tanks, re-stock the bottled water supply. A critical component of hurricane preparation for businesses along the Gulf Coast is an annual review of force majeure clauses. [I] Determining whether an event constitutes force majeure and excuses a party's failure to perform requires close analysis of the contractual language and the potential impact of a force majeure event on a party's business and industry as a whole. Because of its unique vulnerability to weather-related disruptions, the Gulf Coast has become the epicenter of force majeure in the energy industry. The 2017 hurricane season reminded the region of Hurricanes Katrina, Rita, and Wilma 12 years before, which significantly affected the energy industry in terms of production shut-ins, delays, and destruction. The Sabine Pass LNG export terminal in Louisiana closed for two weeks and stopped loading of LNG vessels for 12 days. Meanwhile, 10 LNG vessels waited in the Gulf of Mexico to be loaded. With the expanding LNG market in the Gulf Coast region, the extent of cargo delays after a hurricane will likely increase in the future. The Gulf Coast's emerging role as a key player in the global LNG industry[III] highlights the importance of understanding the impact of a force majeure event throughout an entire supply chain. Article 1873 of the Louisiana Civil Code provides the basis for the force majeure doctrine in Louisiana: "An obligor is not liable for his failure to perform when it is caused by a fortuitous event[IV] that makes performance impossible." This determination is based on the reasonableness of the actual parties' foresight, as opposed to an objective review of foreseeability by a "reasonable person." Fortuitous events in Louisiana have included hurricanes, a break in the levees of the Mississippi River, excessive rainfall, and abnormal flood conditions, while fire, fluctuations in market price, and modifications in governmental policy and regulation have been found not to qualify. Most force majeure clauses require that the event be "outside the reasonable control" of the party claiming force majeure. Specifically, such clauses typically enumerate certain events of force majeure, followed by "other circumstances or events not within the reasonable control of a party." Absent specific direction from the contract itself, suppliers may also find themselves in post-force majeure events with limited inventory and must allocate that limited supply among numerous customers. In such circumstances, suppliers must make a "fair and reasonable" allocation. The impact of Hurricane Harvey and prior weather-related events along the Gulf Coast highlight the importance of reviewing and understanding force majeure clauses before a catastrophic event occurs. In preparing for the upcoming hurricane season, Gulf Coast businesses should determine whether their force majeure clauses contain strict notice requirements; whether they are required to exercise commercially reasonable efforts to avoid the impact of a force majeure event; how a fair and reasonable allocation will be determined; whether there are restrictions on how long a force majeure event can last; and whether an event of force majeure excuses all performance of all of the parties' contract obligations or only some. 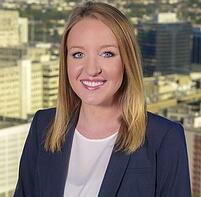 Haley E. Nix, an associate practicing commercial litigation with a focus on oil and gas and property disputes in the firm's New Orleans office. [I] The doctrine of force majeure excuses the nonperformance of a contractual obligation when an unforeseeable event makes performance of that obligation possible. Under Louisiana law, the term "force majeure" means a superior or irresistible force. Hanks v. Entergy Corp., 06-477 (La. 12/18/06), 944 So.2d 564, 583 (citing Saden v. Kirby, 94-0854 (La. 9/5/95), 660 So.2d 423, 428). [II] Up to half of Eagle Ford onshore gas production was shut in for days after Hurricane Harvey and offshore production saw a peak loss of around 26%. [III] Reductions in transportation costs and travel time for LNG shipments from the Gulf Coast have effectively revolutionized the international LNG market by connecting Pacific consumers with Gulf Coast producers, and providing additional access to previously-regionalized markets. By 2021, the Gulf Coast will be the center of a U.S. LNG business that accounts for 15-17% of global LNG demand. [IV] The term "fortuitous event" is used interchangeably by Louisiana courts with "force majeure," and is defined as an event "that, at the time the contract was made, could not have been reasonably foreseen." La. C.C. art. 1875; see Payne v. Hurwitz, 07-0081 (La. App. 1 Cir. 1/16/08), 978 So.2d 1000, 1005. [V] See, e.g., West v. Cent. La. Limousine Service, Inc., 03-373 (La. App. 3 Cir. 10/1/03), 856 So.2d 203. [VI] It is unsettled in Louisiana whether force majeure can be invoked when a party has, due to a fortuitous event, only unreasonable alternatives which would satisfy performance. [VII] See, e.g., Associated Acquisitions, L.L.C. v. Carbone Properties of Audubon, L.L.C., 07-0120 (La. App. 4 Cir. 7/11/07), 962 So.2d 1102; West v. Cent. La. Limousine Service, Inc., 03-373 (La. App. 3 Cir. 10/1/03), 856 So.2d 203; Hanover Petroleum Corp. v. Tenneco, Inc., 521 So.2d 1234 (La. App. 3 Cir. 1988); Popich v. Fidelity and Deposit Co. of Maryland, 245 So.2d 394 (La. 1971); City of New Orleans v. United Gas Pipe Line Co., 517 So.2d 145 (La. App. 4 Cir. 1987); Schenck v. Capri Constr. Co., 194 So.2d 378 (La. App. 4 Cir. 1967).